"We have so many common interests so why destroying the relationship because of these deplorable facts." Editor-in-chief of the Polish daily Rzeczpospolita, Bohuslav Hrabota, believes that relations between Ukraine and Poland should be more pragmatic and not be clouded by historical past. "We have so many common interests, and we are ruining our relationship and trust because of these regrettable facts. 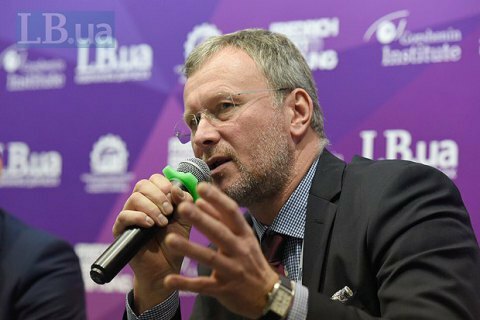 We have to be more pragmatic and not only think about the past," the journalist told the VIII National Expert Forum by Gorshenin Institute on 28 November. He recognized that historical thinking has a serious impact on current politics in Poland, but good social and institutional relations should not be sacrificed to the past. Hrabota recalled that is a huge number of Ukrainian labor migrants are working in Poland, and their number is likely to grow. He also pointed out that Poland together with Sweden have initiated the establishment of the Eastern Partnership – a program of cooperation between the EU and its Eastern neighbours. The journalist believes that the overall policy will not change, and Poland will not retreat from the idea of supporting Ukrainian European integration ambitions. "We need to find a way to work together and find a common perception of history," said Hrabota.